I have a friend who buys a grass-fed cow for beef by offering portions to her friends. So my husband and I purchased a portion. The meat is really amazing. If you have read any of my meat posts you know that I prefer to douse my meat in marinades and seasonings. Well, with this beef I don’t do that normally because the grass-fed flavor of the meat is good. When I picked up my meat my friend gave me a few choices about some of the cuts. I know nothing about cuts of meat. I based my selection on this cut being one or two servings and that cut being three to four. Of course I chose the value. Plus a couple of the selections were new-to-me cuts. So I was excited at the prospect of learning how to cook different cuts of meat. Well, as I said, I was excited at the prospect. I haven’t had as much time since I picked up the meat. I have not spent time learning how to cook both the different cuts AND the way this meat cooks. So I have been cooking the ground beef — A LOT. I make burgers often. Used to be I couldn’t get my hubby to want to eat a burger that I handmade, now he LOVES them. The beef is spectacular! Anyway . . . I finally have to get to cooking the meat in my freezer so my first attempt — BRISKET. I am really not a fan of brisket, unless my friend cooks it. I had one she made once and I was so amazed. But as she said, she doesn’t use a crock pot, but I did. I don’t like cooked bell pepper that much so I nixed that idea and I am also not a fan of tomato sauce so I decided against that. 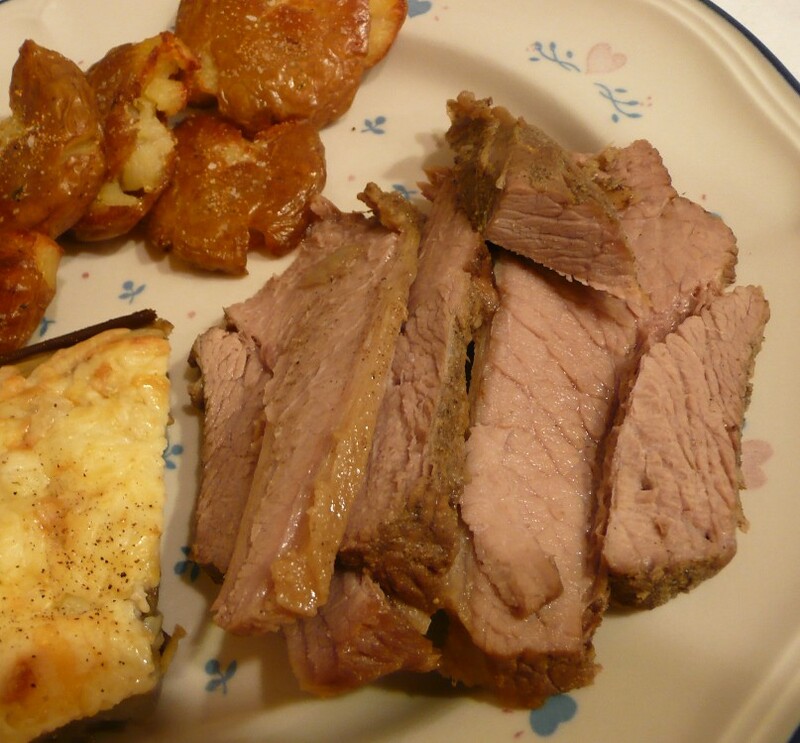 What I did was I looked up crockpot brisket and found a bunch of recipes. I looked at the ingredients I liked from each one and decided I would put them together and see what I get. Here is what I used. I actually thought to write it down BEFORE I prepared it. 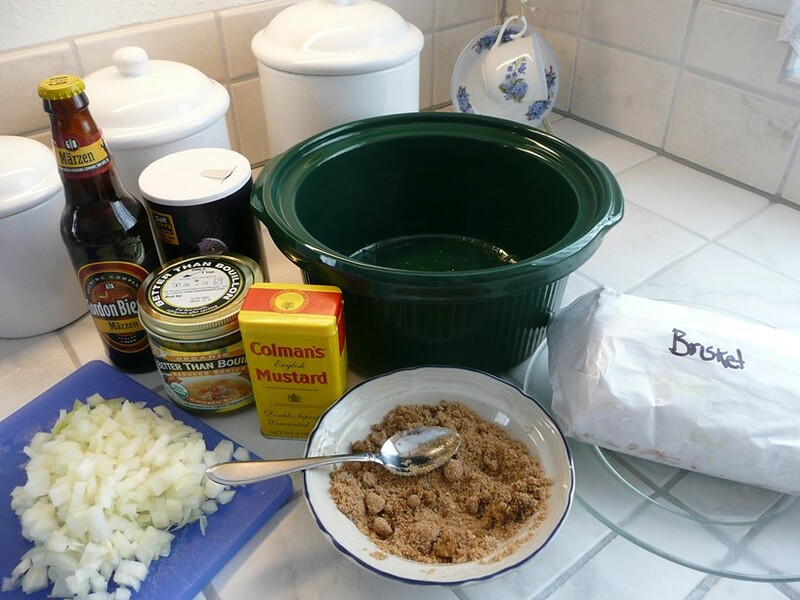 Mix all the dry ingredients including the Worcestershire sauce together in a bowl, then rub it on the meat. Cover all of the meat. Put some of the onions on the bottom of the pot. 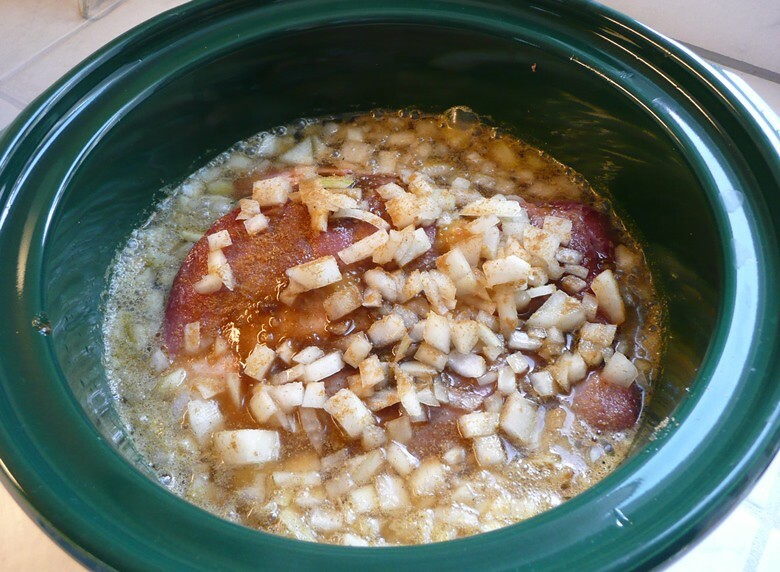 Place the meat in the pot on top of the onions. Put the rest of the onions on top of the meat. Then pour in the sherry, beer, and broth (I had mixed the water with the Better than Bouillon). Sprinkle more cumin on top. When I looked up brisket I saw times from 6 to 9 hours. So I had been planning on cooking it for 5 hours. But then I looked up veal and it said 7 to 9 hours. So I set one timer for 7 hours and another for 5. At 5 hours I checked on it and it seemed done so I turned off the crockpot. I will cook if for less next time because, as you know, it keeps cooking even after you turn off the heat. I will also remove the crock pot from the heat next time. The meat actually came out moist and fine. But I would like it a little less cooked. My husband loves meat, especially beef, so he loved it. He kept making yummy noises. And I actually observed him eat the meat except for one piece. Then he eat everything else then the last piece of his meat. He saved it for last. He wanted to savor the last bits. As I have said before, I am blessed because he likes pretty much anything, but he loved this. The amounts in parenthesis are the amounts that I am going to use next time. I want a little more flavor. But I am happy with my first cooking of brisket. And now you know what? Yup, my favorite . . . . leftovers! Are you a brisket fan? Do you have a brisket recipe? How do you cook brisket? This entry was posted on October 29, 2013 at 5:31 pm	and is filed under "Recipes", Food. Tagged: beef, better than bouillon, brisket, crockpot, crockpot veal, cumin, easy dinner, Facebook, grass-fed cow, hamburgers, Worcestershire Sauce. You can follow any responses to this entry through the RSS 2.0 feed. You can leave a response, or trackback from your own site.